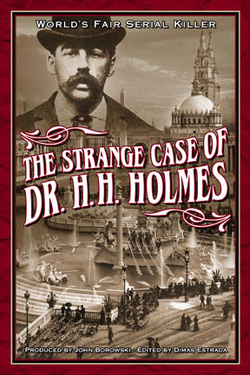 This book provides a combination of three fully illustrated, unabridged primary source books, in addition to Holmes' published confession, as originally documented. 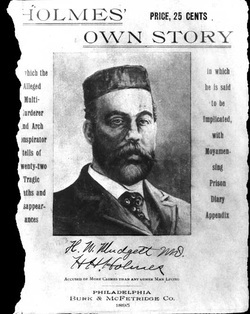 Mudget's memoir, written from his cell in Moyamensing Prison between 1894-1895, in which he provides an autobiographical account of his life as well as a Prison Diary (though both highly fictitious). A first- hand account of Detective Frank Geyer's 1895 search for the Pitezel children, which includes court transcripts and witness testimony from the H.H. Holmes trial. Written shortly before his execution in 1896, this was Mudget's last publication. In his confession, he admits to the murder of 27 people. The above sources may be purchased by following the provided links (in blue) or those attached to the images.